The single most important component to any successful move is preparation. Having all items properly boxed is a very important component to moving. Being well prepared reduces the risk of damage to your shipment. Loose items can damage other items during shipment. Being prepared will also save you money on your move, as your movers can move items far more effectively when all items are packed. 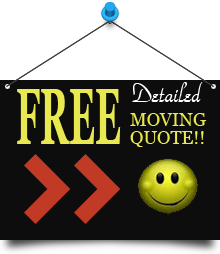 You will need an assortment of quality Moving Supplies. These include: Moving boxes, tape, wrapping paper, bubble wrap, wardrobe boxes, dish-pack boxes, picture and mirror boxes. Order Packing Supplies or Packing Supply Combo Packs. Once you have established what you will need for supplies, Contact Cape Cod Moving and we can take your supply order. We will deliver supplies to your home or you can visit our Bourne office and pick up your supplies there. As you pack the boxes, try to pack at waist level. Use a small table and chair if possible. Mark contents and room name of each box as you pack it, with a permanent marker. Kitchen: Place the newsprint on the table and untie the string so the package opens flat. Place each item on the blank newsprint. Without removing the item from the paper, wrap one or two sheets of paper around the item. Now remove the item from table and place into a box. Boxes should be taped, top and bottom with Movers Tape. Please do not use masking tape, as it is made of paper and will not adhere when wet, and will not last long in storage. Try to put heavier items in smaller boxes and light bulky items in larger boxes. Small kitchen items should be packed into small boxes (Cups, mugs, glasses, spices). Non-breakable items can be wrapped 4 or 5 at a time. Medium kitchen items should be packed into medium boxes (Plates, small appliances). Large items should be packed into large boxes (Bowls, Tupperware, pans, small appliances). Clean and dry all major appliances at least 24 hours before your move date. Dining room: Place table decorations in to large boxes with lots of newsprint in between items. Next, place china into small boxes, wrapping each piece in paper and/or bubble wrap. For greater protection, consider purchasing "dish packs". We strongly recommend using both paper and bubble wrap. Finally, mark all of these boxes “ fragile china“. Living room: Remove small items from any drawers on your end tables. Place these items in a small box. Check your couch and chairs to make sure that there are no remote controls stuck in the cushions. Lamps: Remove shades from all lamps. Remove and pack all metal shade brackets separately. Pack the shades inside one another and put in a medium or large box. Next, wrap your lamps in bubble wrap (large celled) and stand in a medium or large box. Be sure the check that the bulb(s) have been removed. Placing small pillows in the box can often help to protect the lamps. Paintings, Mirrors and Artwork: Bubble wrap all paintings or pictures and place into the appropriate sized picture boxes. Bedrooms: Use large boxes for linens/towels and the medium boxes for smaller items. Clothes can be left in your dresser, please remove any breakable items from drawers. Pack your lamps in boxes as listed above. Using the Wardrobe Box. Unfold box so that it forms a tall standing rectangle. The box will have four flaps that will be connected between them. This is the top. Turn box over, fold corners opposite of each other over, place metal bar in the two slots that are cut into the box. tape across all joints that were formed in the folding process. Use wardrobes for all hanging clothes. Wardrobe boxes will hold about 25 shirts, and should not exceed 50lbs. Folded sweaters, linens and shoes should be packed into the large boxes. Bathroom: Place towels in large boxes. Wrap the small items in the same way as you wrapped the items from the kitchen. Mark boxes with prescriptions and open medicines. This will allow you to quickly find any medicines that you may need within the first few days of moving in. Your shipment should not include anything that is poisonous, flammable, corrosive or perishable. Such items include, but are not limited to, the following: Propane, Fertilizer, Paints/Solvents. Flashlights, TV remotes, Aspirin, Cookies, Sheets, Toothpaste, Shampoo.... Pack any items that you and your family will need on your first night (& first morning) in your new home . As packing can be a difficult and arduous process, Cape Cod Moving also provides full in-home packing services. Cape Cod Moving provides 12 years of experience and offers exceptional quality packing services for all of your packing needs. and help you prepare for all aspects of the moving process.